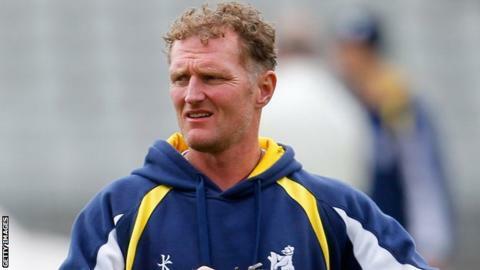 Warwickshire director of cricket Dougie Brown has called his side's performance in their One-Day Cup defeat by Essex "abject" and says they must get it out of their system as quickly as possible. The Bears were bowled out for 168 at Chelmsford, after the home side racked up 320-5, to lose by 152 runs. "Our skills and our desire to compete were lacking," said Brown. "I'm not a massive one for debriefing but when you see a performance as abject as that, you talk about it." The Bears, beaten finalists in the competition last year, currently sit bottom of their nine-team group with one point - from an abandonment against Middlesex - from their three matches so far. Including their last T20 Blast match, the Bears' scores have been 145 all out, 220 all out and 168 all out. The three games were lost by eight wickets, nine wickets and 152 runs respectively. "In the last three games we've been bowled out and that's not acceptable," Brown told BBC Coventry & Warwickshire. "I can accept losing to a better team when you cover the bases and get things right, but we didn't do that and that's unacceptable. "It was poor from the moment we set foot on the field. Sometimes you get these performances but that's not the standards we set ourselves." With the top four qualifying for the quarter-finals, Brown knows his side cannot afford any more bad days as they prepare to take on Lancashire at Old Trafford on Sunday. "It's only an eight-game tournament in the qualifying group," he said. "We've got to get it of our system pretty quickly because if we don't, against a decent side like Lancashire, we're going to fall foul of the same result. "Let's hope people take on board what was said."